Evan Carson is the President of Innovative Defensive Solutions, llc (IDS) a full-service personal defense, safety and security training company. At IDS we specialize in providing our clients with Concealed Carry Courses, Defensive Firearm Training, and Instructor Development. We also provide OC spray, knife, carbine, combative’s and armed professional training opportunities. Evan has been a defensive firearm practitioner, gun enthusiast, student and teacher for more than 12 years. He worked at the NRA HQ for 9 years as an instructor and range safety officer where he applied his teaching and communication skills to tens of thousands of people at one of the nation’s top ranges. During this time he competed in USPSA/IDPA/GSSF and continued on his path as a professional student all while continuing to grow IDS. In 2013, he moved on from the NRA Range to focus on IDS and his personal journey in defensive firearm instruction. Evan and IDS have been featured in Combat Handgun Magazine, The Complete Book of Auto Pistols, Modern DC Business Magazine as well as the TV show Breakthroughs with Martin Sheen. Evan has also been a part of the hit TV shot Top Shot and Triggers. Evan is a training consultant and has worked as an expert witness on a few firearm related cases. Evan has also worked as an adjunct instructor for I.C.E. Training. IDS prides itself on customer feedback, please visit our Google + and Yelp review pages where you can view our 340+ 5 star reviews. Evan is a Life Member of the NRA and is also a BSA Eagle Scout and carries One Eagle Palm. Please visit the Innovative Defensive Solutions Course Tab, or Calendar Tab by clicking the header titles at the top of the page to learn more about our training opportunities. Since 2006 Evan has taught over 5,000 students in over 300 courses. He prides himself in the fact that he is a student first and unlike many instructors out there continues to train and evolve as a student and personal defense practitioner. Evan has logged over 750 hours in formal training both in end user courses and in instructor development course work. This helps Evan evolve as an instructor and stay at the forefront of his industry so that he can bring the best pssible information to you as a student or client of IDS. Ben’s first experience with shooting came when he joined the United States Marine Corps and from his very first shot, became hooked while earning multiple Marksmanship Expert Awards with both the Rifle and Pistol. It was during this time he also developed a knack for firearms instruction where helped hundreds of Marines improve their shooting abilities. During his time as a Marine Infantryman, he was able to expand his knowledge to other firearm and weapons platforms and was often part of the teams selected to demonstrate a system’s operational effectiveness. After leaving active duty Ben continued his personal training and teaching by helping family and friends learn to shoot and introducing them to firearms. During this time a couple of major incidents happened which shifted his focus from target / sport shooting to becoming a Defensive Shooting Instructor. This shift has lead Ben to strive to make himself and others better prepared to defend themselves and take personal accountability for their safety. Deryck is a veteran of the United States Marine Corps and the founder and director of training for Echo-5 Training Group. He is also a senior Combat Focus Shooting instructor and works for I.C.E. Training as a staff instructor and outside instructor liaison. He holds certifications from I.C.E. 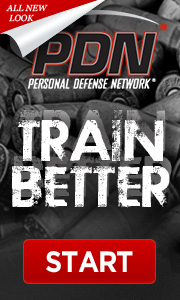 Training and Glock Inc, plus multiple NRA instructor certifications. Deryck has been shooting his entire life and still owns the rifle he was taught to shoot with at 8 years old. He has 17+ years of experience as an instructor. He conducted training for both combat and non-combat personnel while serving as a rifleman and range safety NCO in the Marines. He continues to work with both armed professionals and lawfully armed citizens as a firearms and defensive shooting instructor. He believes all instructors should consider themselves a student first, so he regularly attends training from some of the world’s top instructors. He is a contributing author at the Personal Defense Network and is a charter member of the Association of Defensive Shooting Instructors. James is an Adjunct Instructor with Innovative Defensive Solutions, LLC. He served in the United States Marine Corps, was a LEO while living down south and also was a member of his agency’s SWAT team. James is an avid personal defense student and practitioner and spends his free time training. James is an NRA Certified Pistol Instructor and a certified through I.C.E. Training as a DFC, Defensive Firearms Coach. Click Here to View our Guest Instructor List!